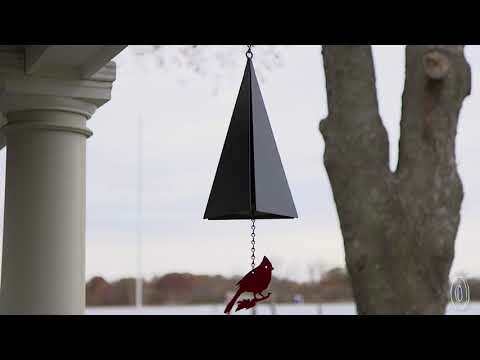 This holiday-inspired bell creates a pleasant sound and makes for a sweet addition to your outdoor space. 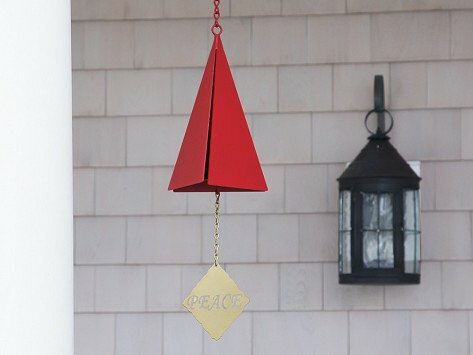 It's made in Maine with recycled steel, and adds a festive touch that will last for at least 20 years. Dimensions: Varies from 15" x 5.75" x 8" to 22" x 6" x 14"
Weight: Varies from 2.1 lbs. to 3.50 lbs. I bought this for my sister - in- law, she loves it! She said it rings so beautifully! I'm going to have to buy one for myself. My husband is a retired army general. Loved the star!! This was a gift for my daughter in SC....she just built a new home & loves the wind bells! Thank you Grommet!